Germany is one of the leading countries where fax software in general has been established successfully and is still recognized as essential equipment for running a corporate business. Sending a fax is easy, fast and very cheap. But the great thing is that fax reports in general have been acknowledged by some major courts in Germany as an acceptable proof for delivery. This would explain why faxing is still a favourite option for urgent delivery in corporate environments. Process Automation – integration of fax software solutions in ERP systems, implementation of large mail, faxing campaigns, etc. Minimize Cost and Save Time – less spending and costs in repairing and maintaining hardware devices and accessories; the ability to process send or receive fax procedure completely electronically. Maximize Performance – gaining efficiency in work performance and in communication flow. Nowadays fax software solutions are a piece of smart software which in most cases run on virtualized machines. 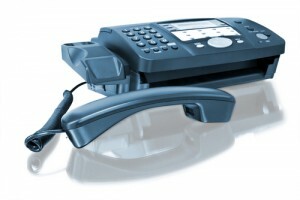 Because of this there is a high demand for FOIP support which is provided by manufactures of fax software solutions. If you plan to implement specific FOIP software to enhance your fax software solution, then it would be a good idea to check if there are any known compatibility issues with the FOIP software and your current PABX, your operating system and/or your fax software solution. In a productive environment (where high peaks comes and go) it is critical for corporate organizations to ensure that all fax software installations run in stable conditions while running in a dynamic mixed environment. Changes in environment happen quite often, at least every three to five years; especially when a system upgrade is planned or a technical upgrade is required and this may affect your fax software installation. Does the current fax software installation support the new upgraded system? If not, what options does the user have? Will any updates for the current fax software installation be available soon? Is there any workaround meanwhile? These are questions where you can measure how flexible your fax software is in reality. At this stage questions like this become very important and have an important role in the planning of changes in the current infrastructures. In critical situations such as system crashes, hardware failures, etc. the quality of the technical support team becomes a crucial element for the survival of small companies. Companies depend and rely on the software itself as well as the knowledge of the technical support team. Maybe I’m just a renegade of sorts, but I think that faxes have long outlived their time. I know they’re still essential to everyday business transactions (even I still use them at the office), but I feel that there’s always an out datedness to any sort of non-digital format. I think it’s time for some innovation in business technology. I, for one, can’t say what exactly that innovation might be, but I’m waiting with baited breath to find out what it is. Fax will stay as long as it is needed. Many companies (both in the US and abroad) still use fax because it is essential. In my experience as a traveling salesman, faxing my invoice to clients and my manager saves me time. It makes my work easier and more efficient.